Meet some of the speakers for the Open Access Symposium 2016. Click here<http://www.openaccess.lib.uct.ac.za/open-access-symposium-2016> to visit the symposium website. Registration is open, reserve your space TODAY,  register here<http://www.exbo.co.za/REG/dynamic_forms/generated_forms/oas_2016_register.php>! [cid:image007.jpg at 01D2075B.C6235B70]Herbert Van de Sompel is a Belgian librarian and computer scientist, most known for his role in the development of the Open Archives Initiative and standards such as OpenURL, Object Reuse and Exchange, and the OAI Protocol for Metadata Harvesting. Currently, he is the team leader of the Prototyping Team at the Research Library of the Los Alamos National Laboratory. The Team does research regarding various aspects of scholarly communication in the digital age, including information infrastructure, interoperability, digital preservation and indicators for the assessment of the quality of units of scholarly communication. [cid:image008.jpg at 01D2075B.C6235B70]John Willinsky is Khosla Family Professor of Education, Stanford University and Professor (Part-Time) Publishing Studies, Simon Fraser University (SFU) and Distinguished Scholar in Residence, SFU Library. 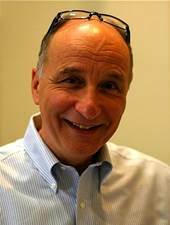 John Willinsky started Public Knowledge Project in 1998 at the University of British Columbia (UBC) in an effort to create greater public and global access to research and scholarship through the use of new publishing technologies. While at Stanford University, he retains a partial appointment at SFU where he directs the Public Knowledge Project, which is researching systems that hold promise for improving the scholarly and public quality of academic research. 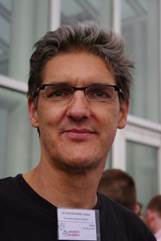 Willinsky founded the Public Knowledge Project and developed Open Journal Software (OJS), a free, open source platform that allowed journals to more easily and affordable publish online. In October 2009 he was awarded an honorary Doctor of Laws degree from SFU for his contribution to scholarly communication. PKP has gone on to develop a portfolio of other open source tools as well, including Open Monograph Press, Open Conference Systems and Open Harvester Systems. To view this discussion on the web, visit https://groups.google.com/d/msgid/heligliasa/VI1PR03MB1245AD283316B9172030E083DCE60%40VI1PR03MB1245.eurprd03.prod.outlook.com<https://groups.google.com/d/msgid/heligliasa/VI1PR03MB1245AD283316B9172030E083DCE60%40VI1PR03MB1245.eurprd03.prod.outlook.com?utm_medium=email&utm_source=footer>.